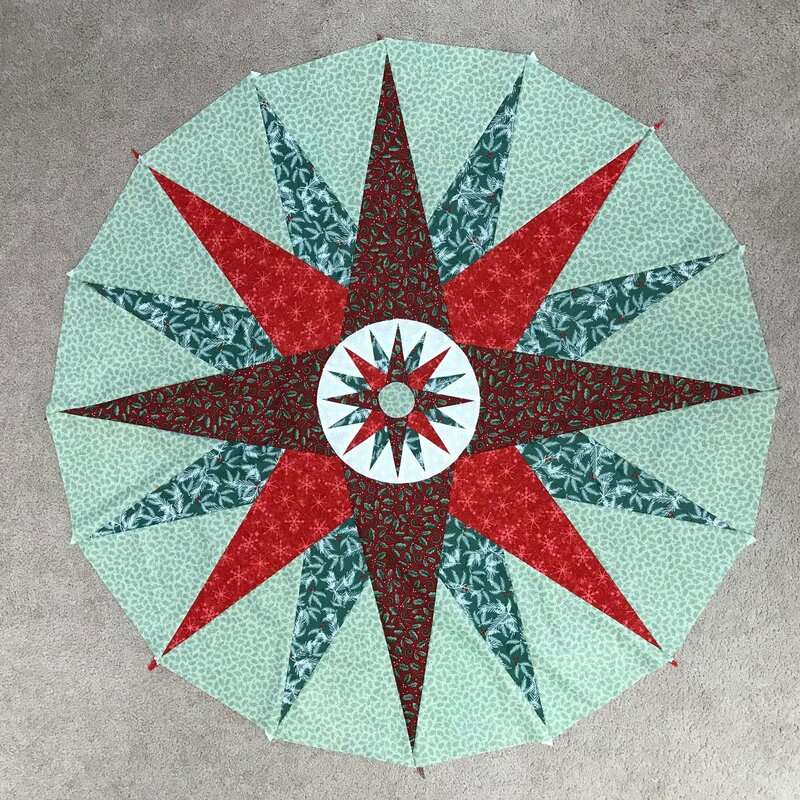 Kay Bergquist of Vermont Quilt Design will guide you through strip-pieced and rotary cut compasses using a special ruler that has markings on it to make compasses from 6" to 36". We will make one compass at a time and everyone will leave with at least one completed compass and the knowledge to continue on. This is a unique technique and does NOT use paper piecing. *Ruler with Book is required and available in the shop. MUST purchase ruler with book. Kay has been quilting for over 31 years. She has taught quilting classes since 1999 and attended camps, seminars, and conventions throughout the United States. She has organized multiple charity quilt projects and is active in the local quilt guild. In 2007, she started Vermont Quilt Design with her daughter, Allison, and began writing patterns for her original designs. In 2010, Kay started focusing on teaching classes again and has supported shops throughout Vermont, as well as guilds and shops throughout New England. Kay was invited to teach at Vermont Quilt Festival in 2011, 2012, 2013 and 2015.